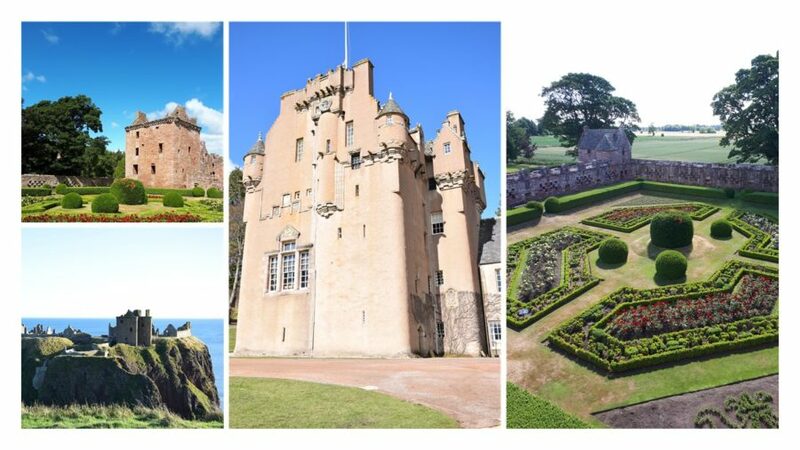 On this tour we will explore two very different castles in Aberdeenshire; one coastal ruin and one in still in private ownership. We end the day at BrewDog, one of the area's largest craft breweries for a tour and tasting. We start our day with a visit to New Slain Castle just outside the village of Cruden Bay. New Slains Castle was first built around 1597, with additions and alterations made in 1664 and 1708. The castle is famous for its close historical association with Bram Stoker and as the likely inspiration for his legendary character Dracula's castle. From the coast we travel inland to House of Schivas. Learn about the 5 families who lived here and their influence on the architecture of the house. Hear about the devastating fire and how Schivas was lovingly brought back to life as well as the ghost of Mary Grey who walks the Castle still! After our two tours we head to Brewdog's Restaurant for lunch. The DogTap offers a good selection food choices made fresh using local ingredients. 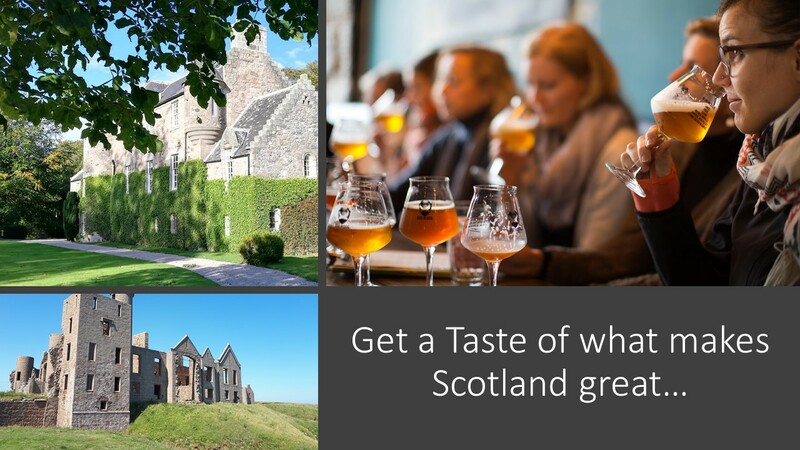 You have the option to take advantage of their Special Offer which includes: stone baked sourdough pizza with side of fries plus a choice of beer or soft drink and your DogWalk tour ticket for £30.00. After lunch we will take the DogWalk brewery tour and discover what makes BrewDog unique. You will have 4 tastings as part of your tour. The tour does not include entry to the attractions: New Slains Castle (free), House of Schivas (£10.00) and DogWalk Tour (£15.00) unless you book the Special Lunch & Tour Combo. Lunch is in the region of £12.00 -18.00 per person.